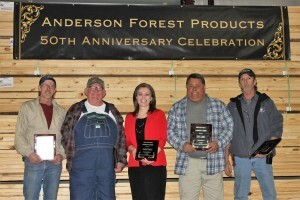 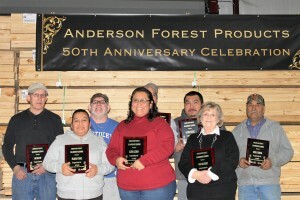 Anderson Forest Products Celebrates 50 Years in Business | Anderson Forest Products, Inc.
Anderson Forest Products, Inc. employees recently celebrated 5 decades of providing quality wood products to companies worldwide. 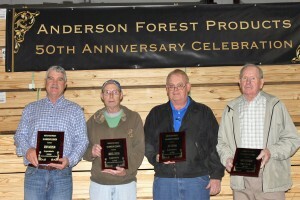 Prior to 1967, Billy Joe Anderson worked as a lumber grader for Mac Dickerson Lumber. 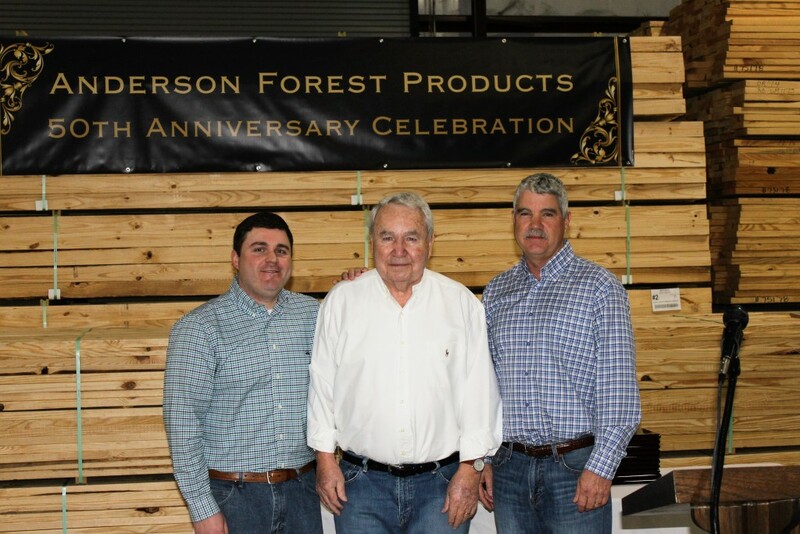 In 1967 he purchased a sawmill in Munfordville, KY and started Anderson Forest Products where he sold lumber in the US and internationally to Japan. 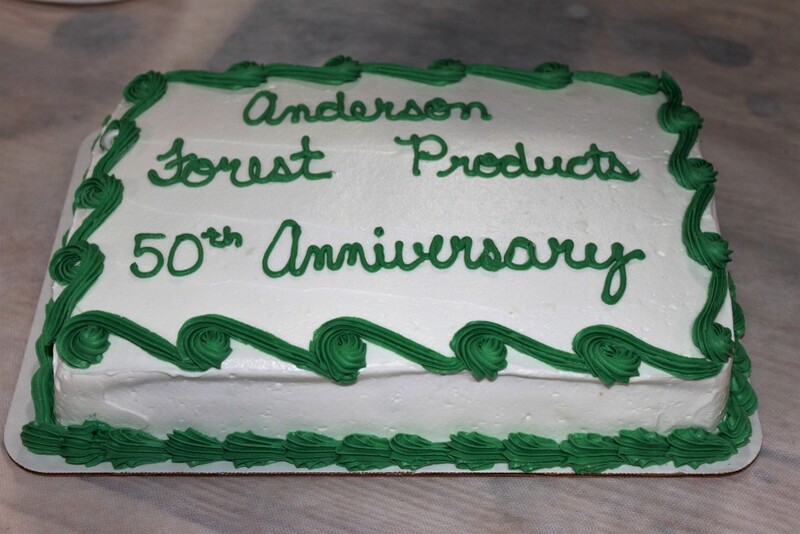 Then In 1972 he purchased and added our Tompkinsville location. 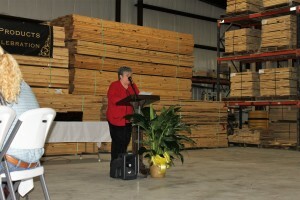 At the time we had about 14,000 sq feet, only manufactured pallets and had about 15 employees. 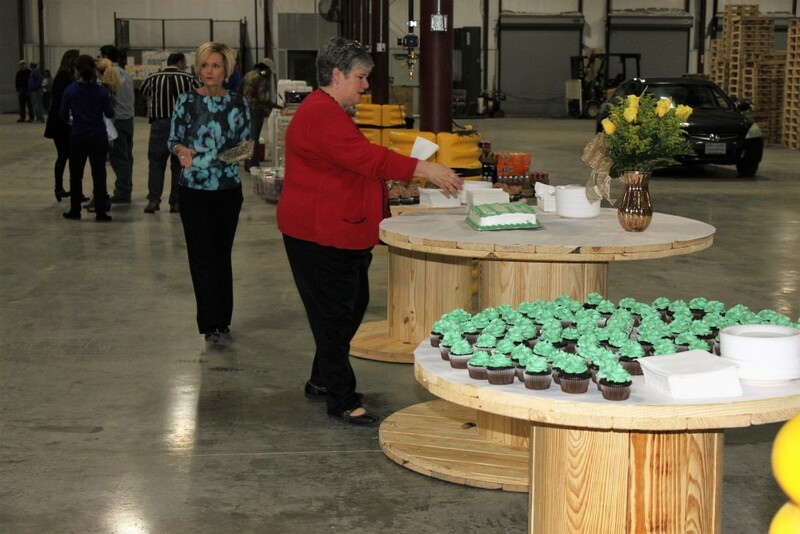 Later, as we grew we were the first pallet manufacture in the county to have an automated nailing machine. 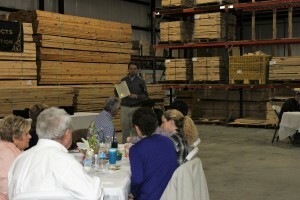 7,000 more sq feet were added and he began manufacturing tables & chairs. 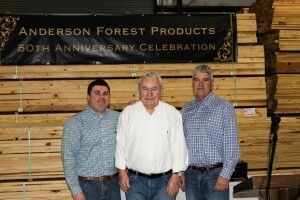 In 1978 his wife Joan, his daughter JoRita and his son Kerry joined the business. That same year we began manufacturing cable reels in Monticello KY and we added 10 more jobs. 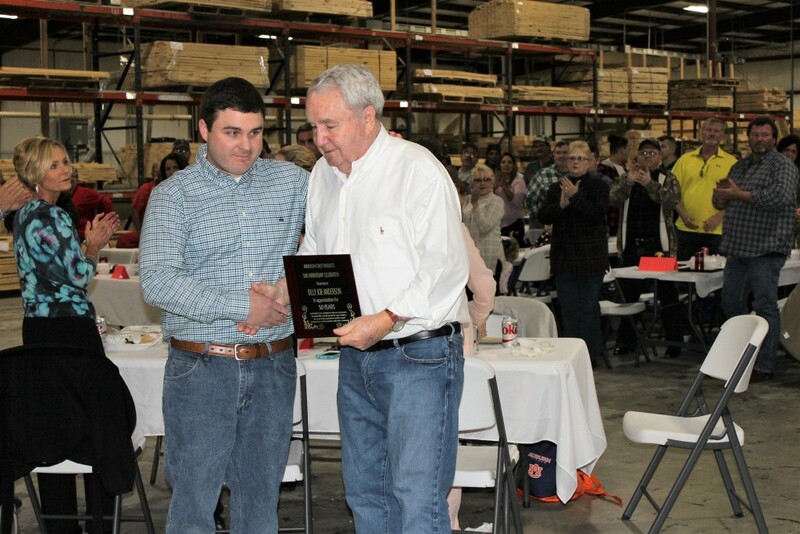 In 1994 Billy Joe bought our first CNC router, which is a computerized machine that can be programmed to cut various shapes such as cabinet doors. 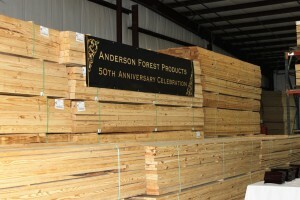 This machine allowed us to be more efficient and eliminated 3 operations. 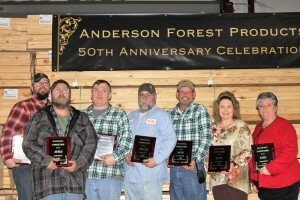 We now have 6 CNC routers at Anderson Forest Products. 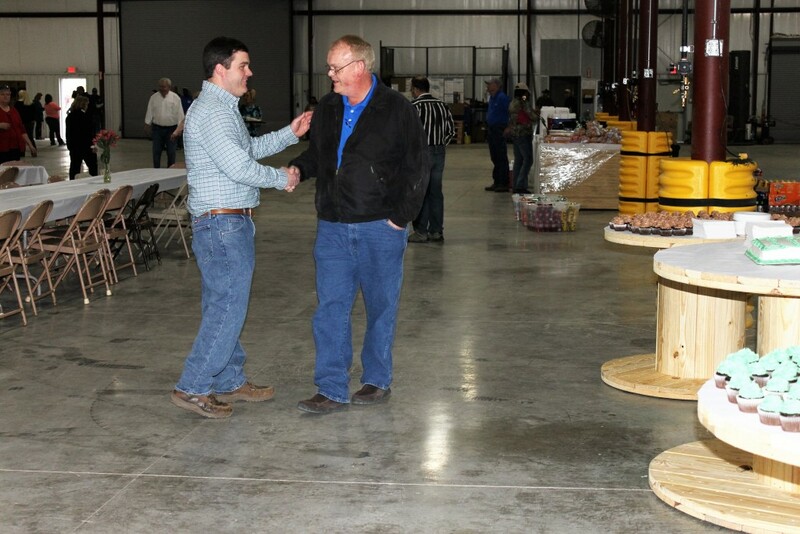 In 1998 we ventured out of Monroe County and opened a satellite location in Sidney, Nebraska to assemble cable reels. That facility remains open today servicing pallet customers. 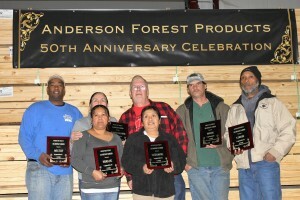 In 2004 AFP TRUCKING started operating under its own corporation. 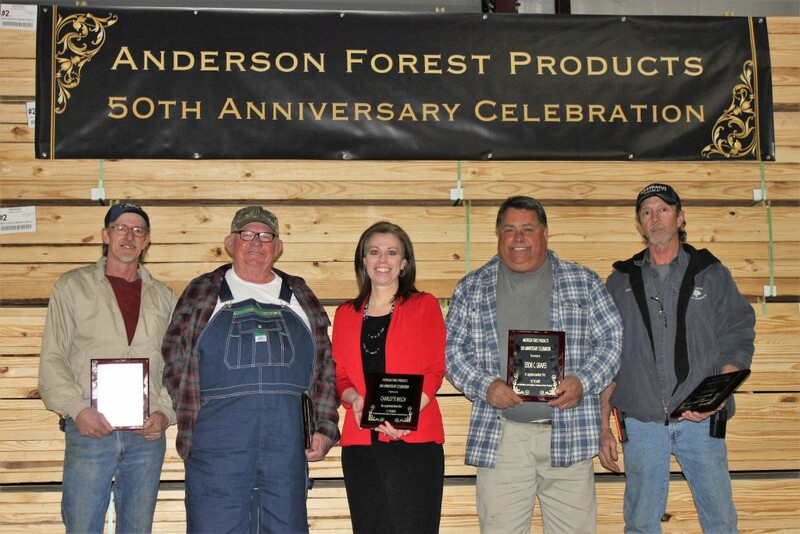 We currently have 8 drivers that travel approximately 964,000 miles a year. Also in 2004, Billy Joe sold the sawmill in Munfordville to a fellow Kentucky business. 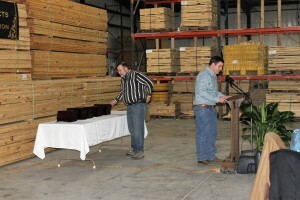 We continue to buy fletches from them today. 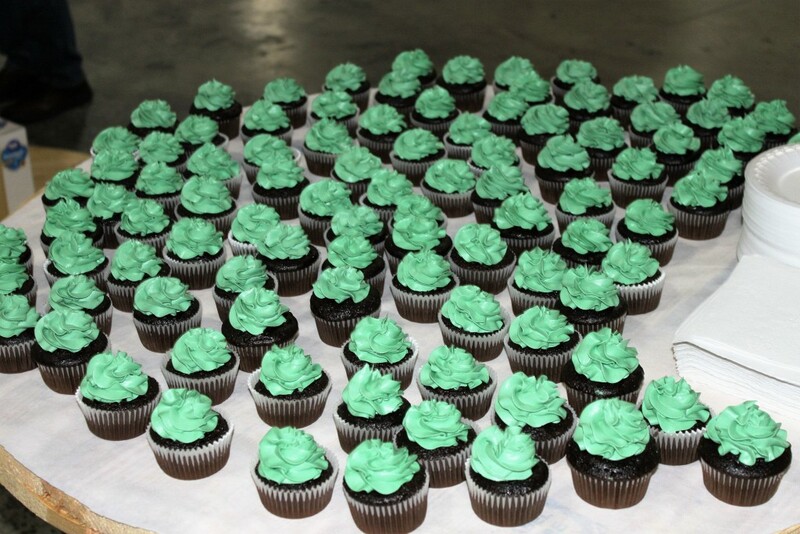 In 2007 we opened another plant in Nogales, Mexico and currently employ 82 people there. 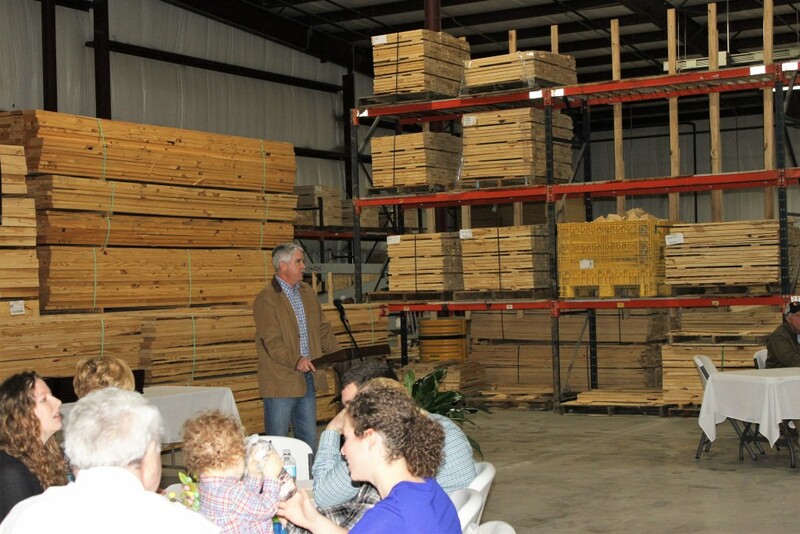 2012 brought the opening of another location in Florence, South Carolina employing 40 employees and manufacturing crates. This location later sold in 2014. 2013 was the start of a satellite operation in Elizabethtown KY. 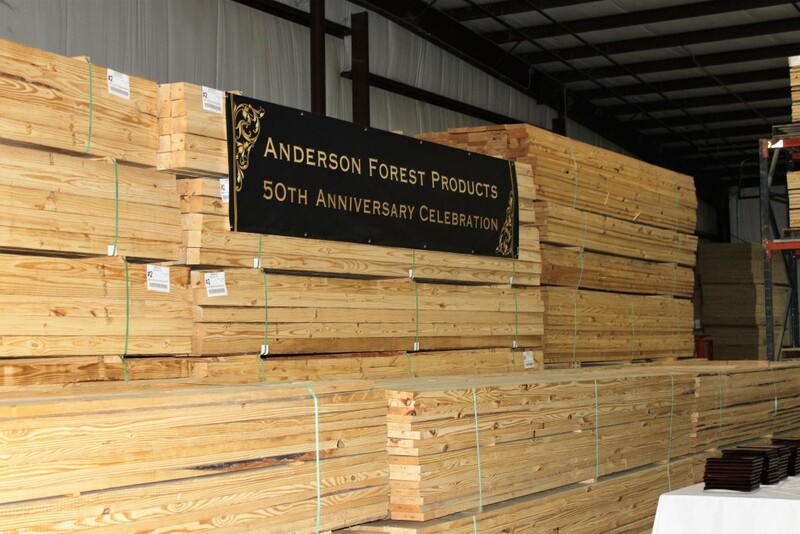 In 2015 we expanded our headquarters and added 40,000 more sq feet. Currently we employ 108 employees at this location and have grown from 7,000 sq feet to 250,000 sq feet. 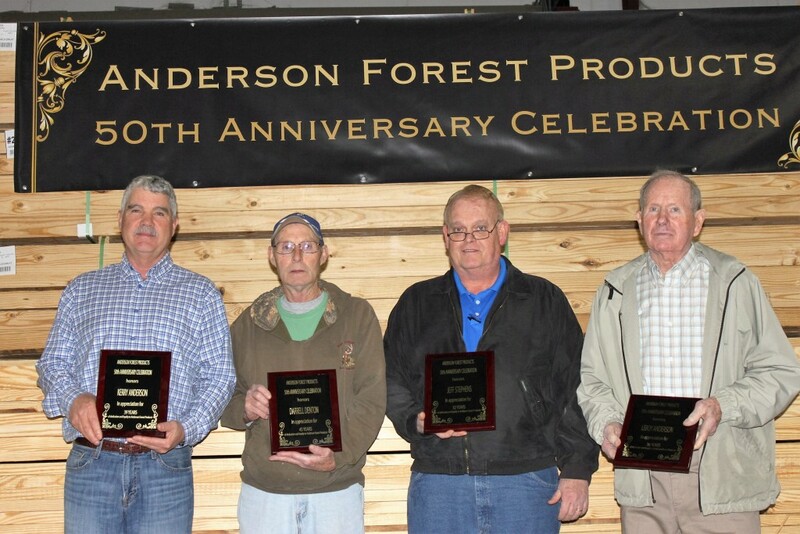 Anderson Forest Products started in 1967 in Munfordville, KY. We started with a sawmill and employed 15 employees. Today, Anderson Forest is an international company with locations in Tompkinsville, KY, Sidney, NE and Nogales, Mexico. 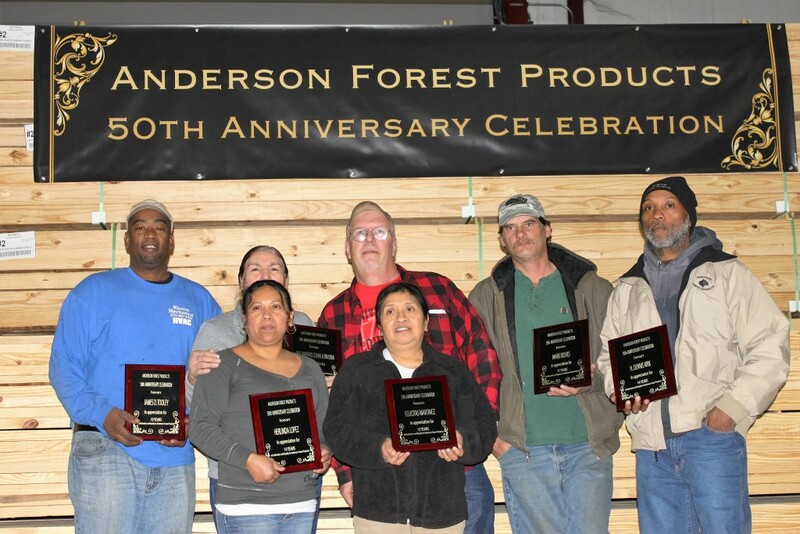 We currently employ 200 employees at our combined locations. 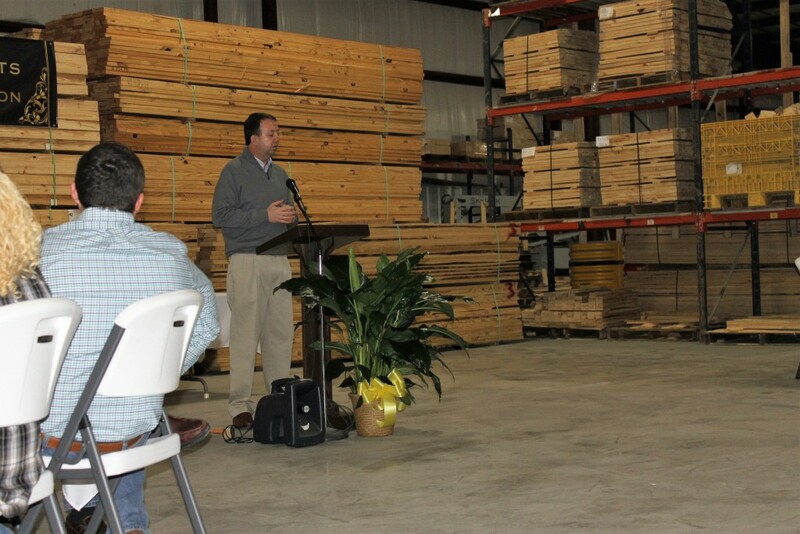 We have grown from starting as a sawmill to a leading provider in the industrial packaging industry in this area. 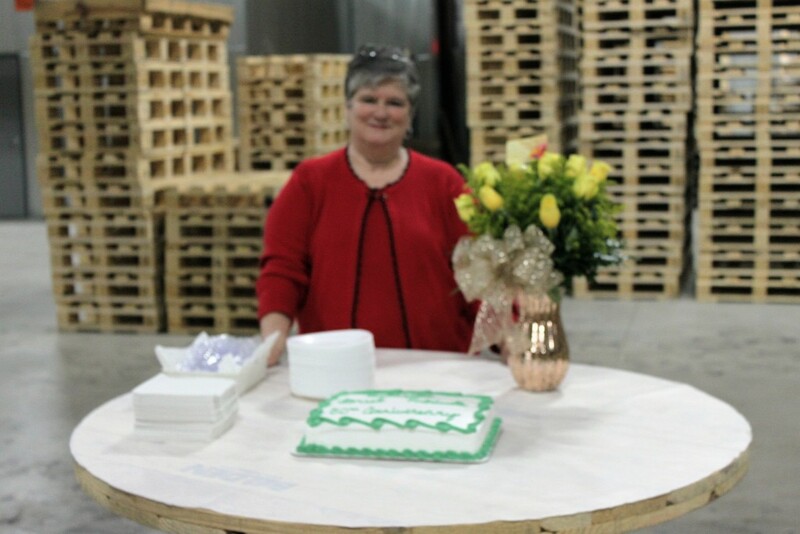 Our current products are pallets, cable reels, wooden crates and platforms, spiral wound paper cores and our newly added custom furniture and home design division. Our Tompkinsville location employs 108 local employees with only 5% living outside Monroe County. We work diligently with over 90 local vendors. 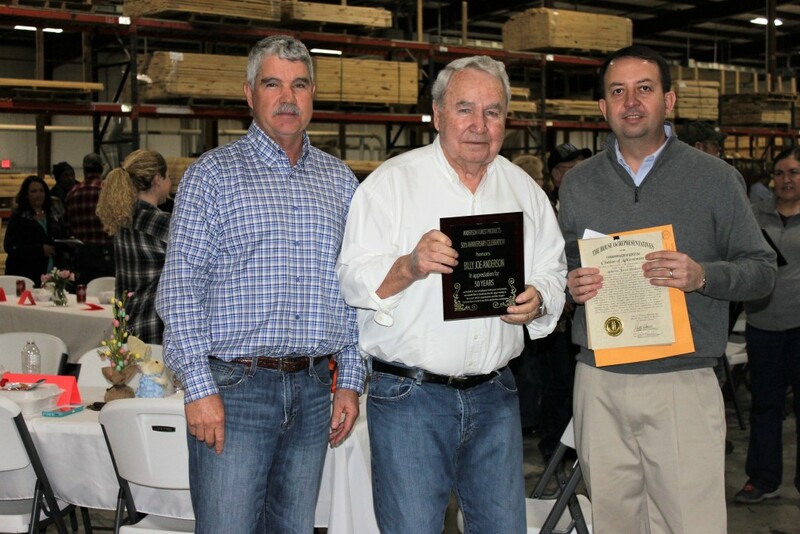 In 2016 we paid $2.2 million in compensation to local vendors and small businesses in Monroe County. 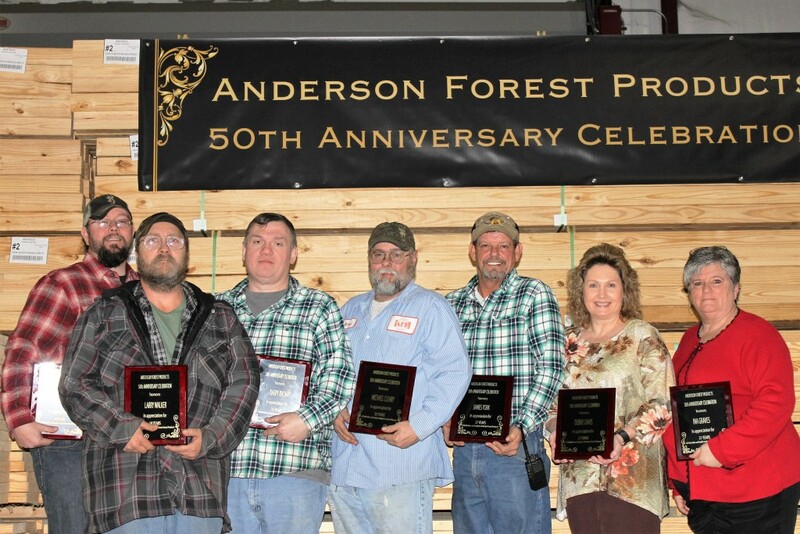 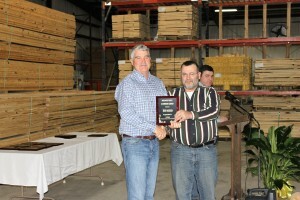 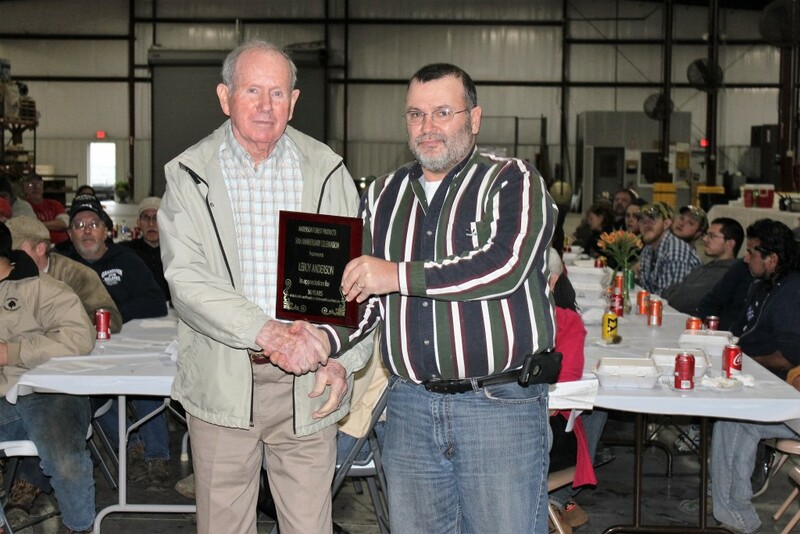 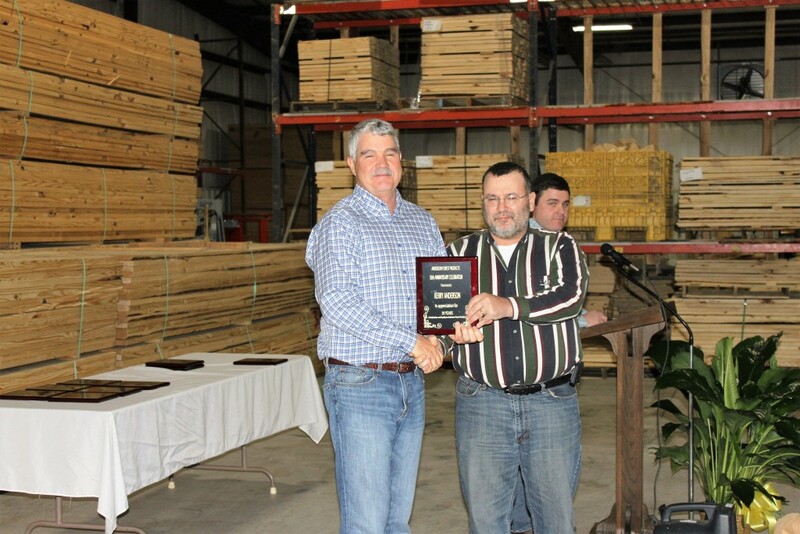 Anderson Forest Products received the 2015 Large Business of the Year award from the Tompkinsville Chamber of Commerce. Read our community news articles about our special day.